What is a status field? 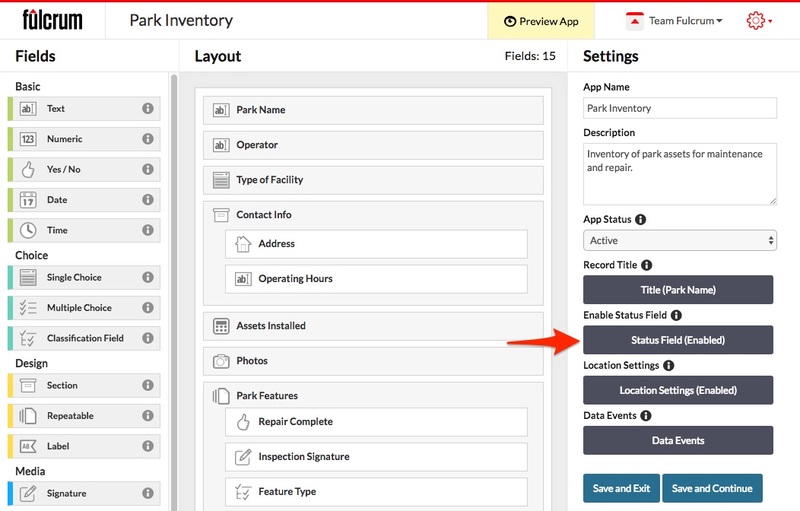 Using status fields to change data symbology and track workflow progress for field activity. The status field allows users to set the “state” of a record, which sets the pin color based on the value selected in the status field. This can be used to give the data collector or viewer a high level overview of the record without the need to hover over or open the record. The status field for your app can be enabled and customized in the right sidebar from the App Designer view. After clicking on the status field button, a popup will display allowing you to set the label, value, and pin color for the status option. Do not forget the click the "Enabled" check box in the upper right before saving your status options. For more information check out the status field guide. When exported, this will be added to the data. The value of a status field can also be used when setting conditional rules on other fields.